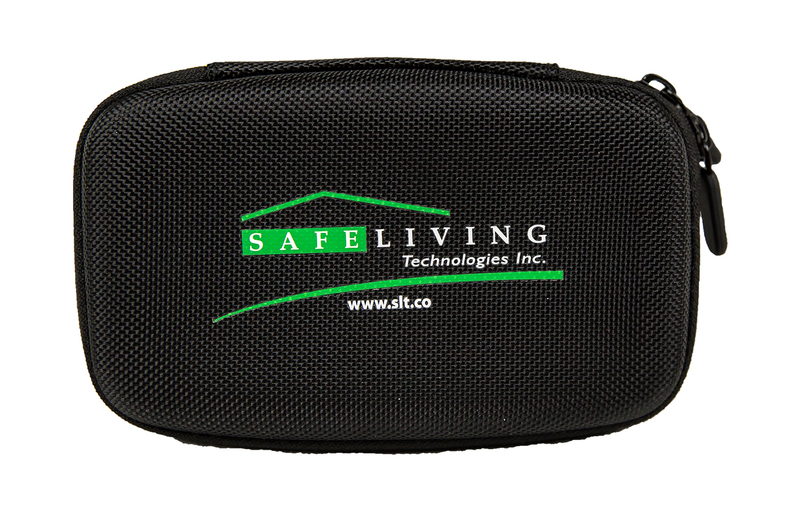 We are pleased to announce the release of our brand new Safe and Sound Pro RF Meter. This meter is like no other meter currently available in the price range. 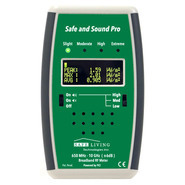 The Safe and Sound Pro RF Meter is a compact, simple to use meter for Radio Frequency / Microwave Radiation (200 MHz to 12Ghz). The meter has been tested and certified by The Centre for Intelligent Antenna and Radio Systems (CIARS) Lab at the University of Waterloo in Ontario, Canada. Some of the features include Peak Hold, USB power jack for continuous monitoring, Adjustable volume control and 2.5mm headphone jack. 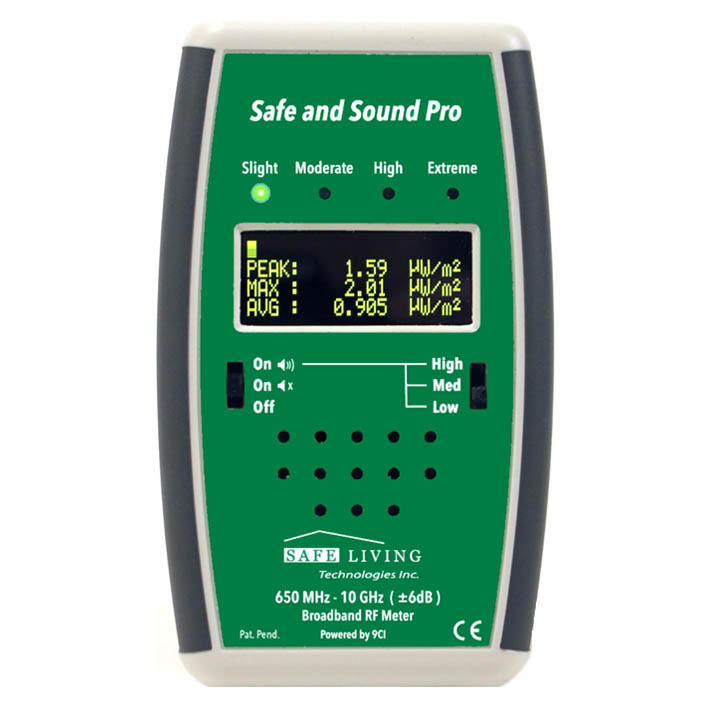 The Safe and Sound Pro also has a sound signature analysis which helps identify which RF Sources you are being exposed to.